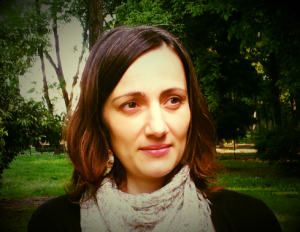 Elsa Mescoli is a post-doctoral researcher and Lecturer assistant at the Faculty of Social Sciences of the University of Liège. She is associated to the Centre for Ethnic and Migration Studies (CEDEM). Elsa is also member of the European Association of Social Anthropologists (EASA) and of the Belgian Political Science Association (ABSP). She obtained her Ph.D. degree in Anthropology (University of Milan-Bicocca) and Political and Social Sciences (University of Liege, co-tutorship) with a thesis on the culinary practices of Moroccan migrants in Italy. Her research and teaching activities concern different themes related to migration – mainly with a focus on urban contexts –, among which transnational practices, intercultural dynamics, discrimination, food, and more recently refugees’ issues, artistic practices and participation.